Provide a fast reliable live chat to assist your customers. Cloud based web chat without any setup fee. Fully customizable chat skin. Customer service efficiency: One chat agent may assist several customers at the same time, decreasing waiting times and telephone calls. An agent may trasfer chat conversations to another agent for additional help. When the operator is not available, users can fill in a form that you will receive as an email on your favourite address. Immediate information about users: real time monitoring and orders tracking to measure your ROI. Advanced analytics: Monitor the performance of your chat, track your e-commerce orders and increase your customer satisfaction. Competitive costs: No installation costs, only an annual fee with progressive discounts based on the number of chat departments and chat agents. Customizable layout: In administrator dashboard you may customize the appearance of your live chat window with logo and colors of your corporate image. Choose the best button and position for your needs. Compatibility with all browsers and OS: LiveHelp chat is compatible with all major browsers: Internet Explorer (from version 7 onwards), Mozilla Firefox, Google Chrome, Safari both on Windows and Mac. File Transfer: Transfer files directly via chat. The most common size files (documents, images) can be transferred from visitor and operator to minimize red tape. No mail blocking attachment. Complete chat logs available in real time for each connected user: Immediate information about users: the web page from which the request was turned and old chats. Recorded chat sessions: Recording of the conversations of the past 30 days, useful for monitoring staff, quality of service and the customer's frequently asked questions. 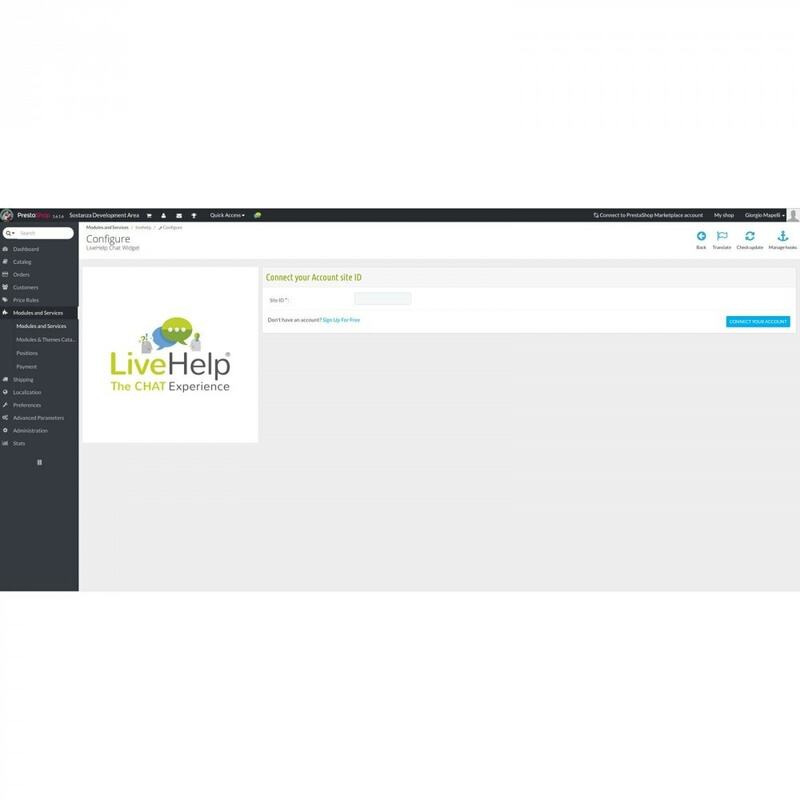 Locate the 'LiveHelp Chat Widget' module on your modules list and click "Install"
Insert your LiveHelp ID in the module page and save. 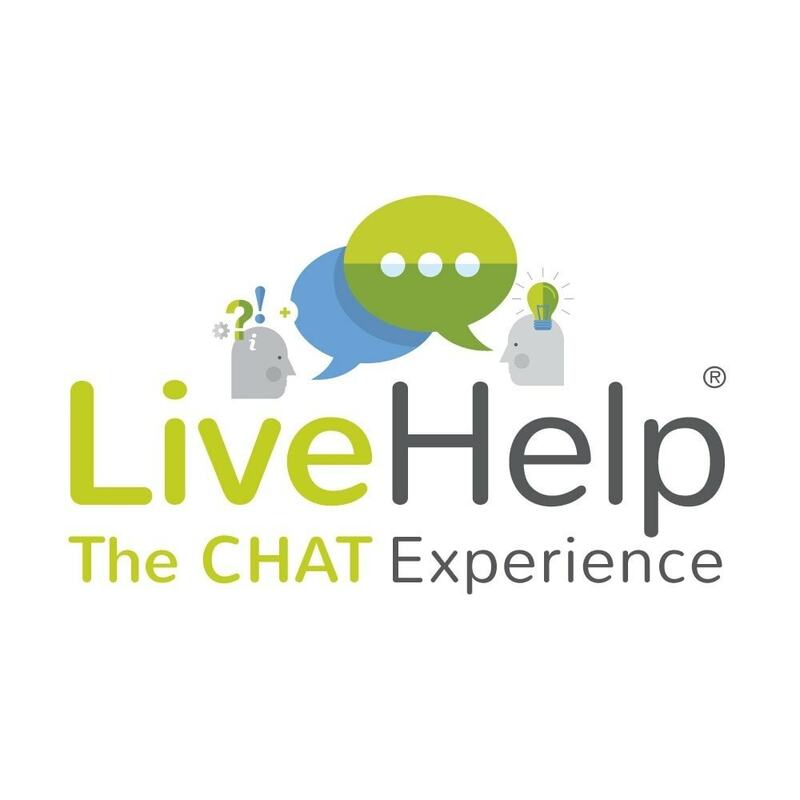 Your account is now connected and LiveHelp can start functioning as soon as you specify which sections you want the chat to be activated on. Connect as agent and get ready to support your customers!